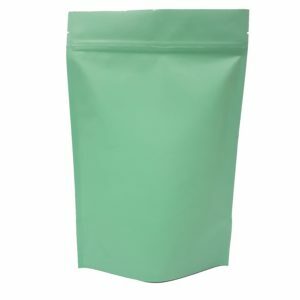 Earth Bags have been specifically designed to give an environmentally friendly packaging solution to your products. Our earth bags are made of brown recycled paper and have a corn-based, 100% natural biofilm that is a renewable resource, and most importantly, they are compostable. Whether you’re selling muesli, coffee, cosmetics or pet food, you can easily display your products in beautiful packaging bags that are wallet-friendly and environmentally friendly to Planet Earth. Earth Bags come with or without a window. They can also be heat sealed. They also have the option of coming with or without a Tin-Tie. If you purchase Earth Bags with a Tin-Tie please be sure to remove the Tin-Tie to ensure they are fully compostable. Due to different manufacturing processes and the structure of the Earth Bags, sizes may vary slightly.